The G-raphy DSLR and Laptop Backpack was designed to hold your photo and editing tools while on the move. 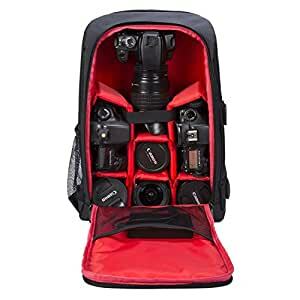 The backpack features a customizable interior to hold and protect 2 SLR camera bodies, 3-4 lenses, 17 inch laptop, and additional smaller accessories. Dimension : 16′ x 11” x 6” . Four Colors for Choice .Can be used as daily backpack.